When a retail giant wants something, they get it—even if that means completing an interior renovation in a mere eight weeks. 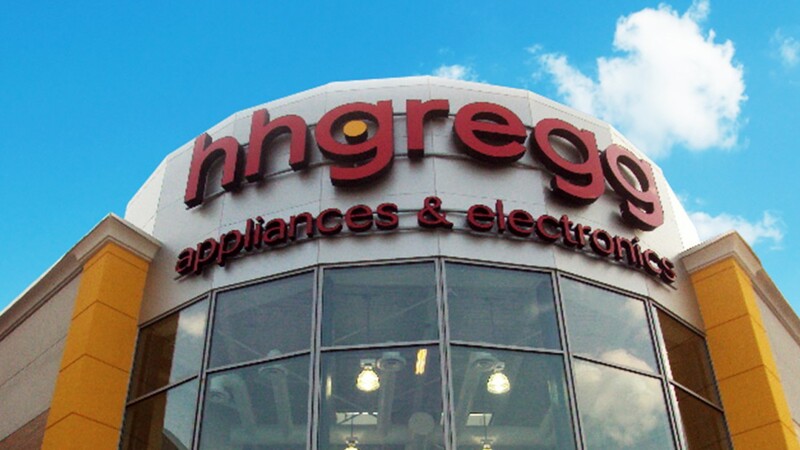 That was the task Gallant was assigned by hhgregg when they decided to renovate an existing 44,550-square-foot space in time to meet a multi-store grand opening date. Along with that pressure, the client had a very extensive wish list. They wanted new skylights, light fixtures and bathrooms, as well as a rooftop unit and additional exterior work. Within three days, our team had crunched the numbers and started gutting the existing space. Work clipped along at a rapid pace, but we weren’t home free yet—some storm clouds appeared on the horizon and threatened to soak the site while we installed the new skylights. We put in a tent to protect the work below and were able to get the new skylights in place just before the big storm rolled in. Gallant also brought a spider crane inside the building to set up the new steel for the roof. Hhgregg held a successful grand opening eight weeks later—complete with brand-new skylights, a renovated rooftop and not a single errant drop of rain.